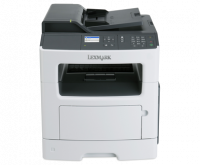 Compare Lexmark and Brother Laser Printer with latest online prices and specifications. You can see list of our Lexmark MX310dn vs Brother DCP-L2540DW below, perform Side-by-Side comparison. If you need further help, do have a look at Conzumr Guides and Tips. Alternatively you can view all Printer and Scanner to choose your own favourites. 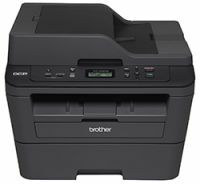 The Brother DCP-L2540DW is a reliable, affordable monochrome laser multi-function copier with an up to 35-page automatic document feeder for home or small office use. This desk-friendly, compact copier has an up to 250-sheet capacity tray, connects with ease via wireless networking or Ethernet, and prints and copies at up to 30ppm. Print from compatible mobile devices over your wireless network. Scan documents to a variety of destinations. Automatic duplex printing helps save paper. 2.4 " MX310dn : 2.4 "
To Recieve updates and possible rewards for Brother DCP-L2540DW please sign in. To Recieve updates and possible rewards for Printer and Scanner please sign in.